Lilith Fair in Montreal or Quebec City? Inform me about the next events for Lilith Fair. Enroll yourself to our priority waiting list for Lilith Fair to be alerted when new tickets are available. Filling this form doesn't engage you to any purchase. 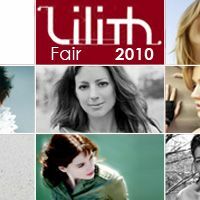 Lilith Fair, famous festival known to headline women artists only will be back in 2010. On July 23rd, 2010, Lilith Fair will stop by the Bell Centre. The show in Montreal, planned for July 23rd, has been cancelled. Mary J. Blige, La Roux, Kelly Clarkson, Chantal Kreviazuk, Meaghan Smith and many more artists will be joining Sarah McLachlan for this Montreal stop of the 2010 edition of this tour. Lilith Fair was created back in 1997 and had reached great popularity from its creation to 1999. It is now back after a 10 year hiatus.